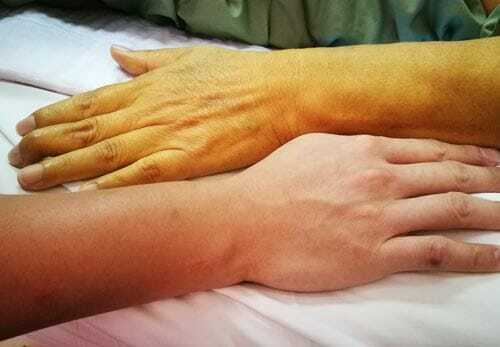 Jaundice is a condition that occurs when your skin, the whites of your eyes, and your mucous membranes turn yellow because you have a high level of bilirubin in your blood. Bilirubin, which is a yellow pigment, forms as a byproduct of your body’s normal process of recycling old or damaged red blood cells. It moves through your bloodstream to the liver where it binds with bile and then moves into your digestive tract to be removed from your body. If the bilirubin doesn’t move through your liver and bile ducts quickly enough, it builds up in your blood and deposits in your skin. Your skin then develops a yellow tint. If you have developed jaundice or are experiencing the above symptoms, schedule an appointment with Digestive Health Associates of Cheyenne. One of our providers will evaluate your condition, run tests, and, depending on the diagnosis, talk with you about treatment options. How Do You Treat Jaundice? Once the cause of the jaundice is resolved and your bilirubin levels go back to normal, the jaundice will clear up on its own. Your doctor will likely start by checking for signs of liver disease (bruising, spider angiomas, hand and fingertip redness) and run lab and imaging tests to determine the root cause of the jaundice. Our board-certified, experienced physicians at Digestive Health Associates of Cheyenne will provide you with the best diagnosis and treatment options for what is causing your jaundice. Contact us today.